LOOK, we all know where this is going, and frankly, I’m tired of it, you’re tired of it, we’re all tired of it. So let’s just get it over with, hmm? 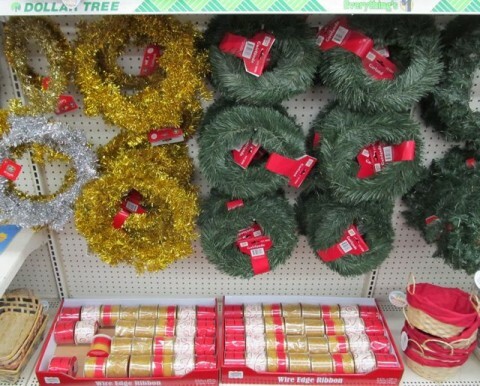 And thanks to a visit to my local Dollar Tree today (though, interestingly, not the same Dollar Tree of “It’s August 15th Already!” fame), I can see that it’s high time, blah blah blah, start getting ready, yadda yadda yadda, magical season of giving, et cetera, et cetera, Christmas! And then some comical reference to family summer plans that I’ve abruptly canceled so we can instead focus on this holiday. But seriously, as I write this, there are one hundred thirty days until Christmas! That’s more than one third of the year! No. No, I won’t go there just for the sake of a cheap, inappropriate joke. Not during this joyous time of year. Heh heh “Christmas Creep” joke. Posted by Ted on August 17, 2012, 4:21 AM.